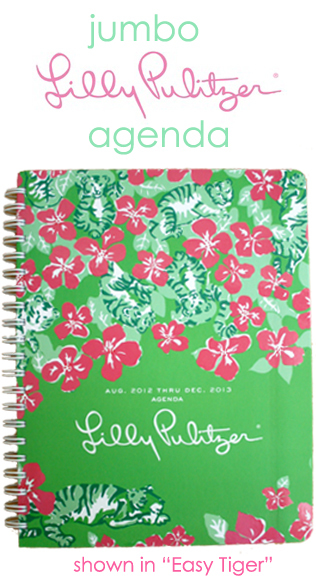 My day started off beautifully this morning with a package from Lilly Pulitzer containing my new jumbo agenda. Since I was filling the pages up in last year's agenda, I decided to go with a jumbo this year. With a couple leadership positions, two jobs, and a full class schedule, I'm in need of this over-sized planner! 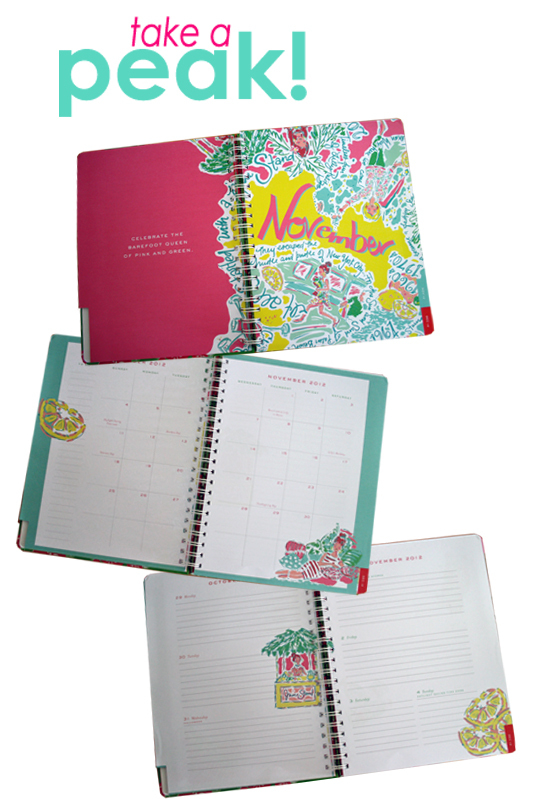 For those of you who haven't ordered yours yet, here's an inside scoop on the 2012-2013 Lilly agendas! I've gotten a few tweets from people who wanted to see what the inside pages look like and how the jumbo compares to the large sized agendas. Luckily, last school year I purchased the large agenda, so I'm able to give you a side-by-side comparison! The large agendas are 6.75 x 8, while the jumbo is 8.5 x 11 (the size of a standard notebook). Each month has a stunning cover page, a monthly calendar, and two pages to plan out your weekly schedule. If you have any more questions about this years agendas, leave a comment below! I'm happy to answer an questions so you can order your agenda ASAP! 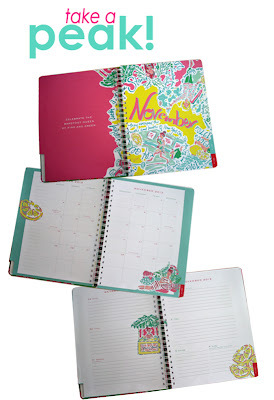 If you already have yours, tell me which Lilly agenda will be keeping you organized! I'm so thrilled that you did this! It really helped me decide which one I want! Oh good!! Which one did you decide on? Does the jumbo sized also include a contact information and notes section? I was watching a YouTube review and she mentioned that the jumbo did not include 17 monthly pages in the front like the other sizes included. It does! The contact information section is in the front and the notes section is in the back. I am in high school and i cant decide if i want the jumbo agenda or the large agenda? I like a lot of room to write but i'm afraid the jumbo agenda might be to big? 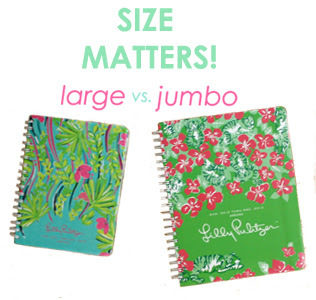 The jumbo is significantly bigger than the large - it's the size of a regular notebook. I like the jumbo because I have a busy schedule and I filled up every page on the large last year. I don't mind the big size of the jumbo, but if you think it' would be too big for you, go with the large! How do the thicknesses compare? Is the jumbo planner any thinner than the large one like a regular notebook would be, or are they about the same thickness?